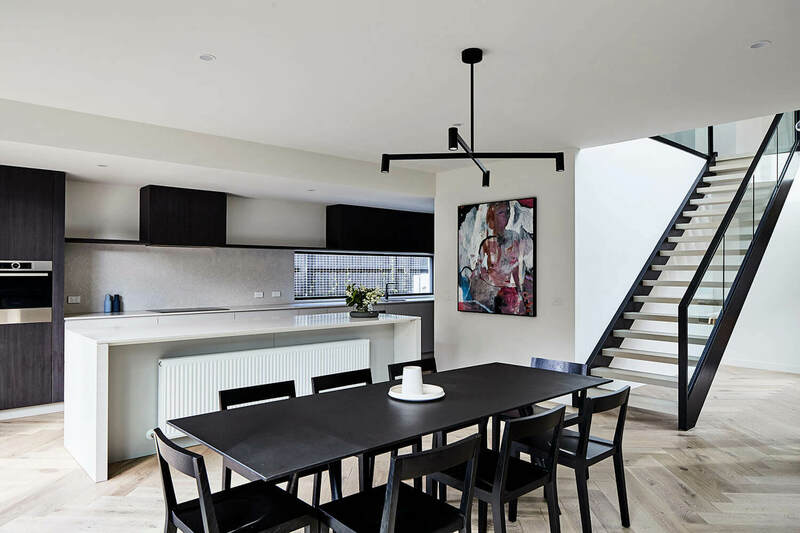 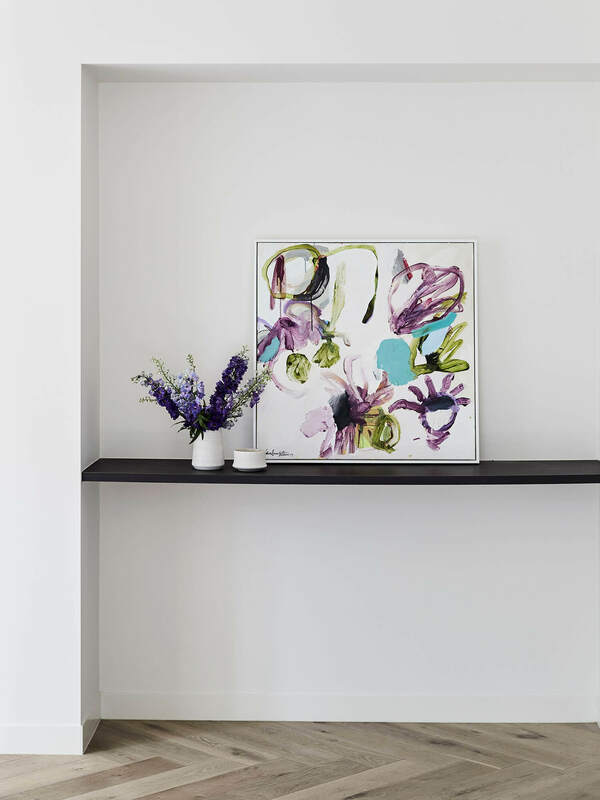 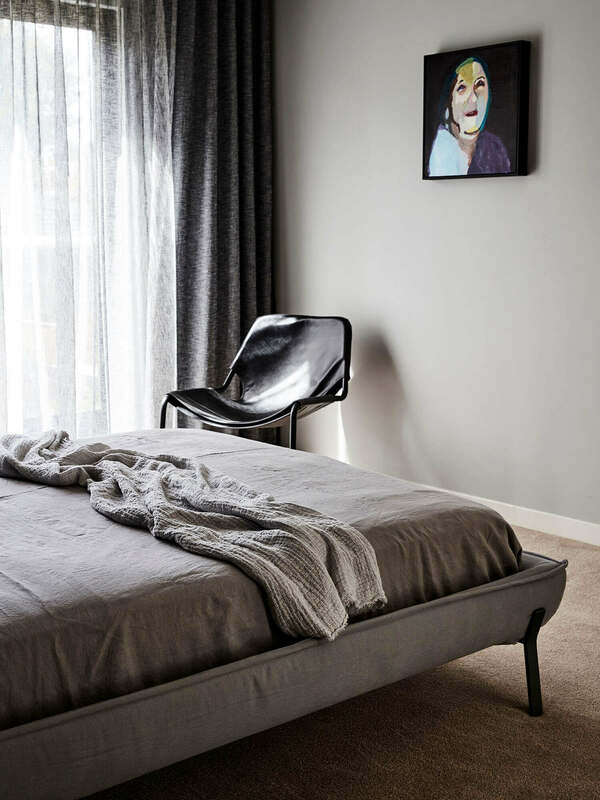 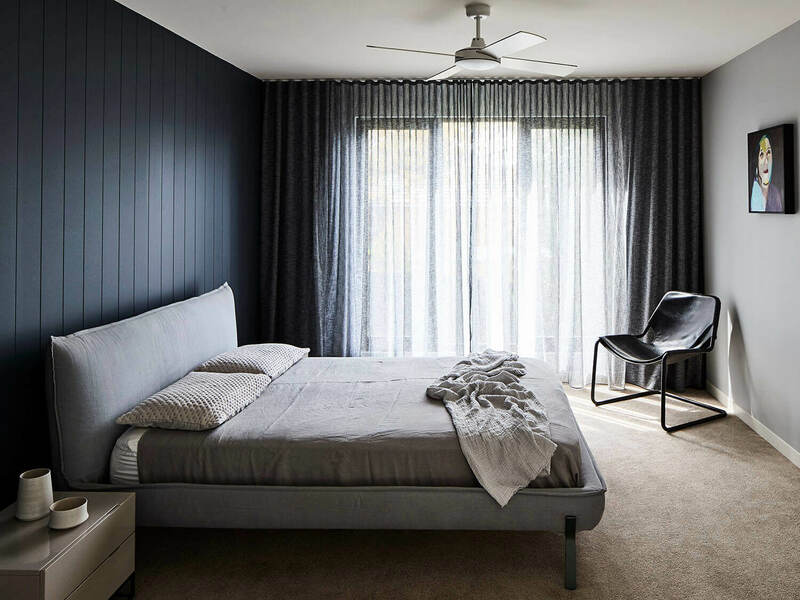 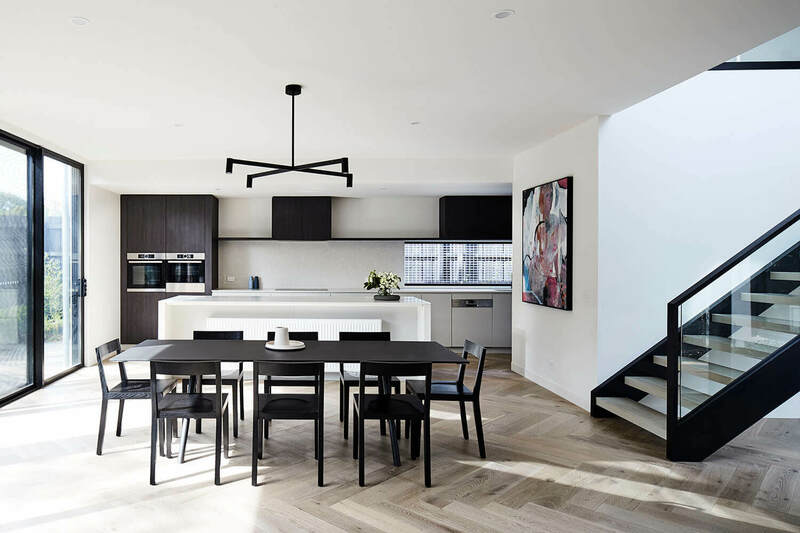 This Beaumaris house was the resolution of collaborative planning and consulting sessions with a dedicated client who had specific requirements they wanted included in their new home. 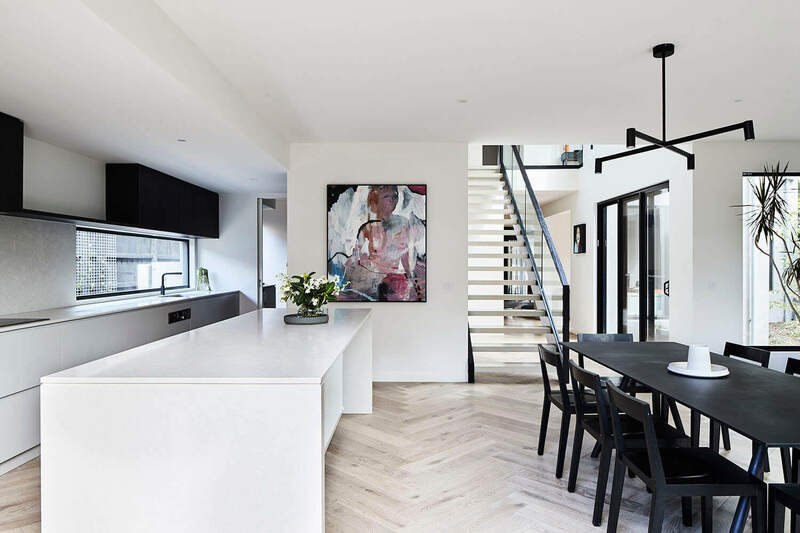 The overall style of the home was chosen as an acknowledgement of the ever-present modern architectural style of home being built in the area. 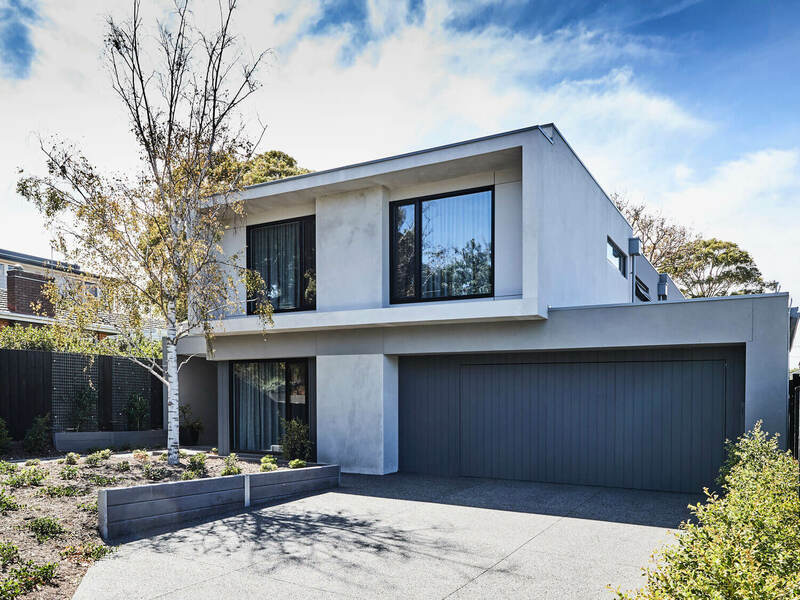 The final design is a home that blends harmoniously within the surrounding neighbouring context. 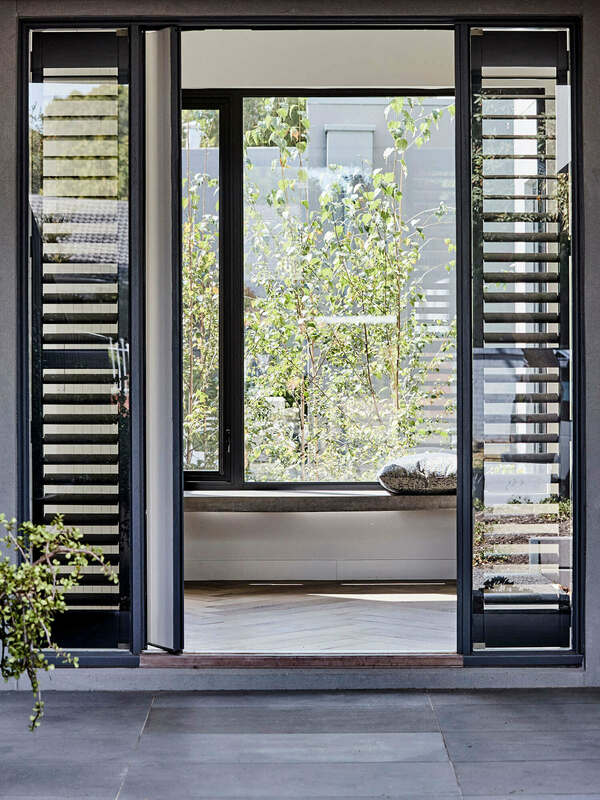 The design of the entry was quite special, sitting to the side of the home, upon opening the large pivot door, you are greeted with an internal courtyard proving an instant feeling of bringing the outdoors in. 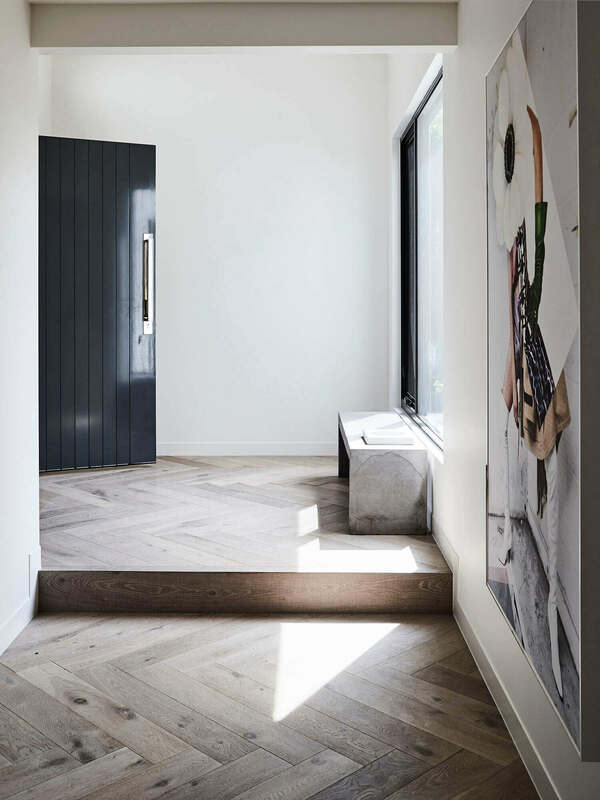 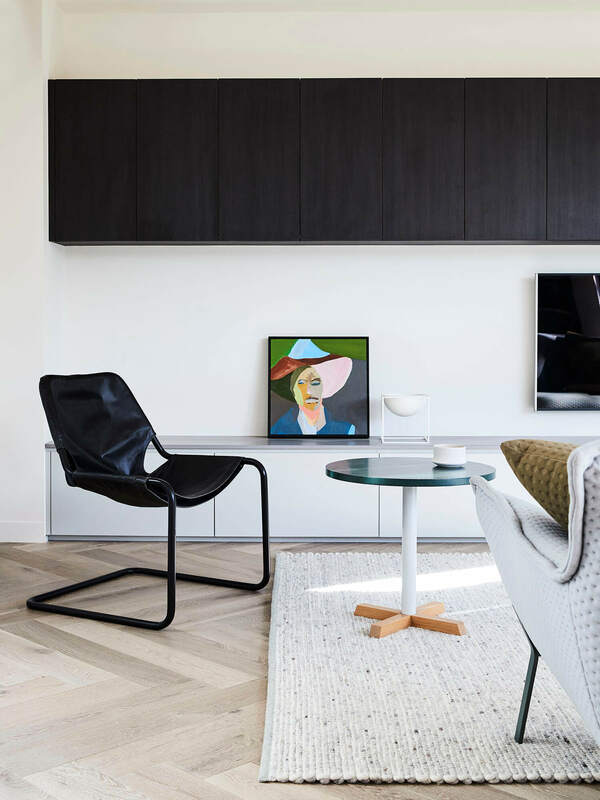 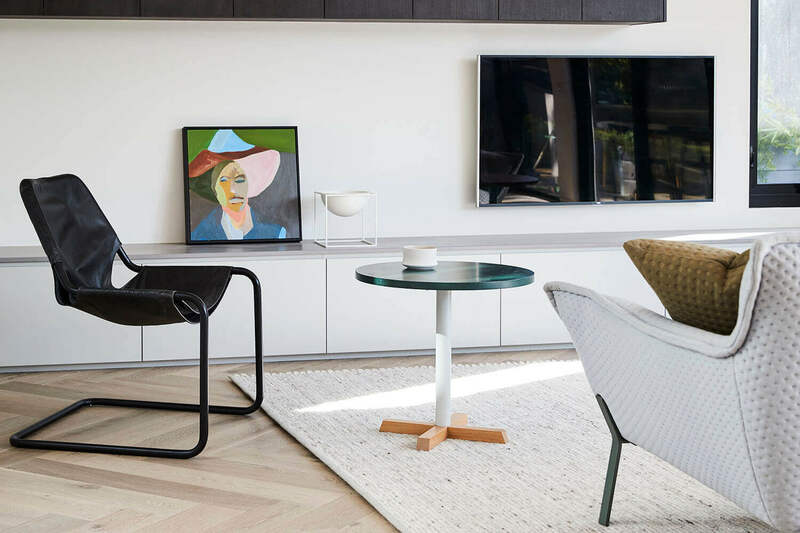 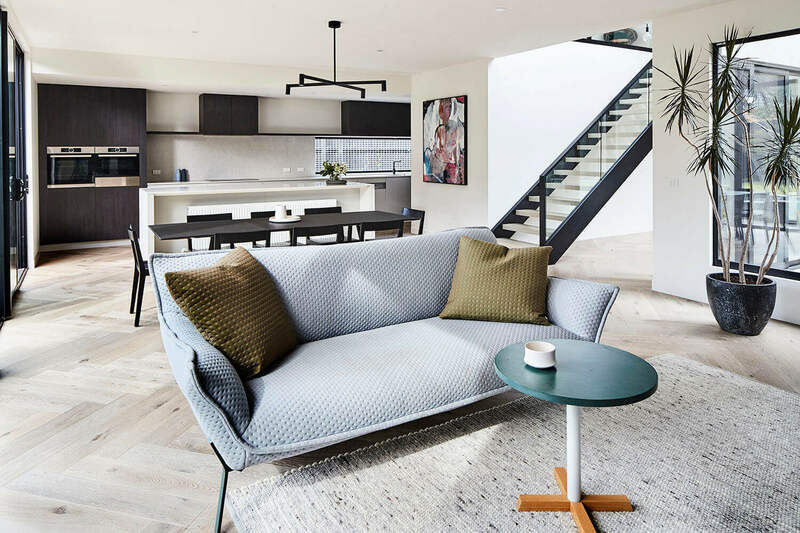 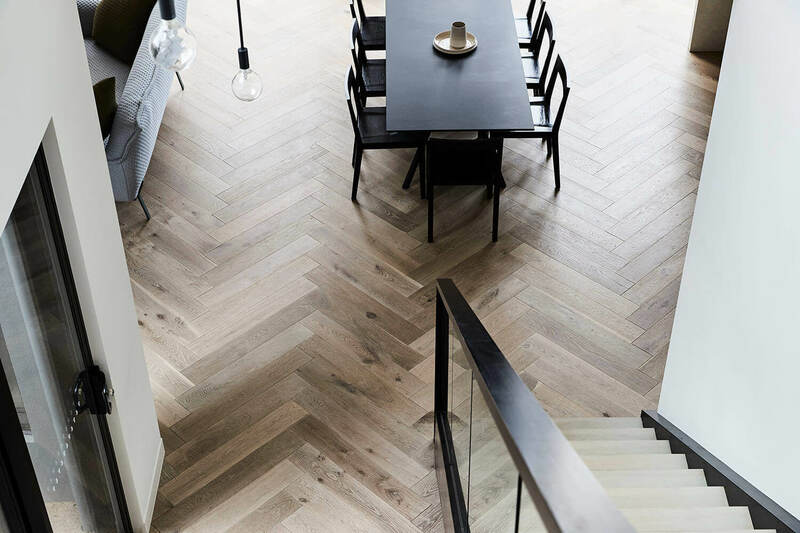 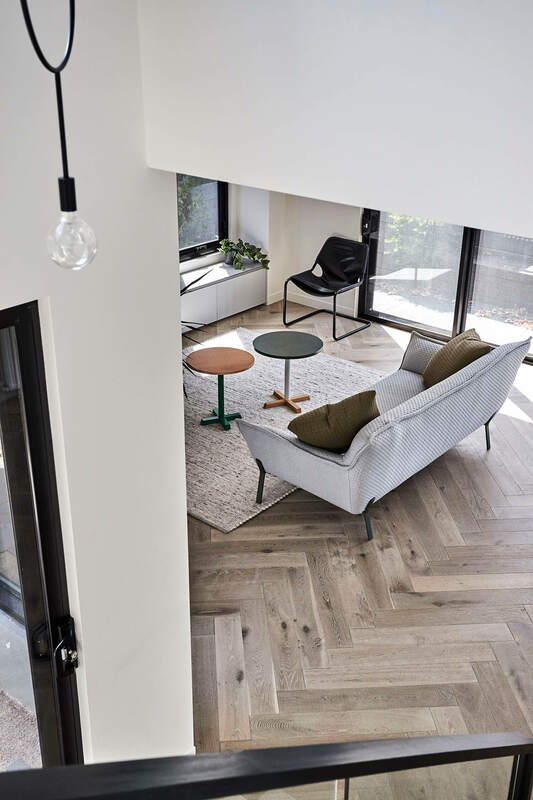 The raised entry set out in herringbone engineered flooring spanning the entire ground floor of the home, then steps down enticing visitors to a quiet formal lounge at the front of the home overlooking the tree lined street with large full height windows. 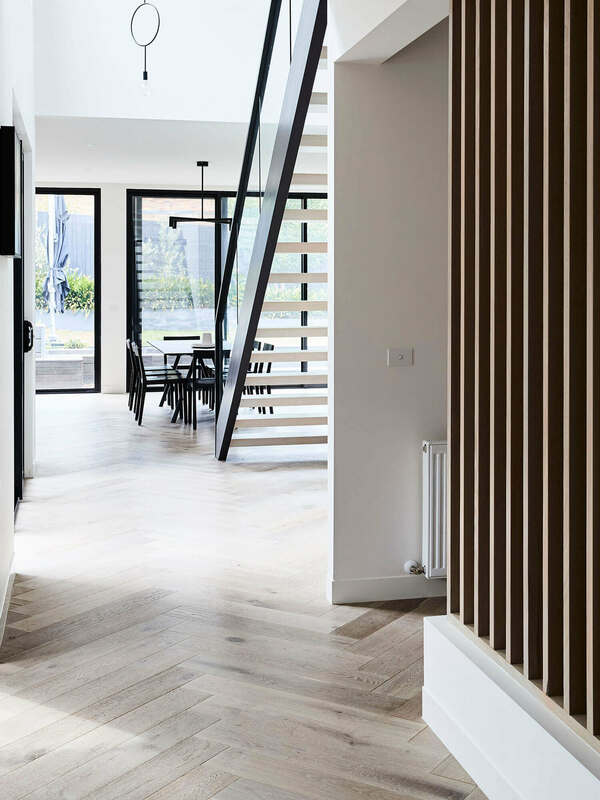 A specific floor plan layout was the result of locating the family living zones to the rear of the home to maximise the sunny aspect of the rear yard. 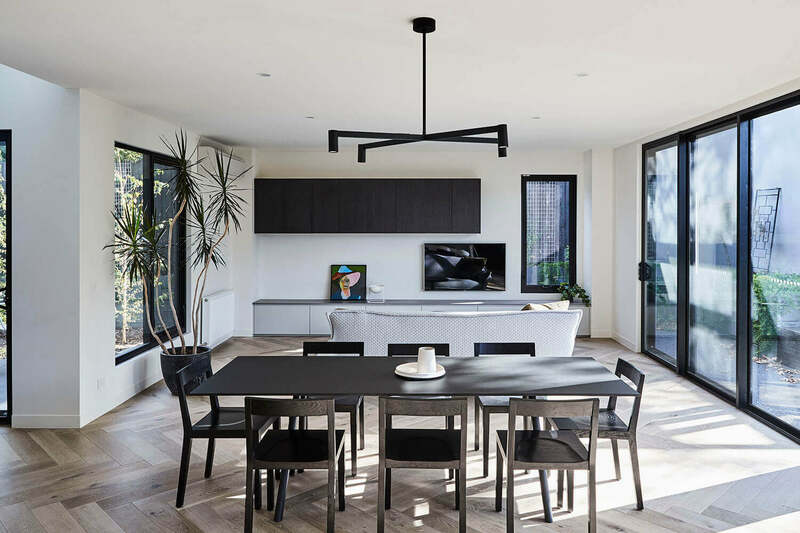 Resulting in an enormous rear living zone with an abundance of expansive full height windows and large stacking doors opening onto outdoor multiple entertaining spaces.